1.2 UNIT 1 DAY 2 - Framework of Music. 1.4 UNIT 1 DAY 4 - Character, Style, Technique and Composition. Duration (Time), Intensity, Timbre, Pitch and Space. ② Translation of these Elements of Sound into Music Elements. 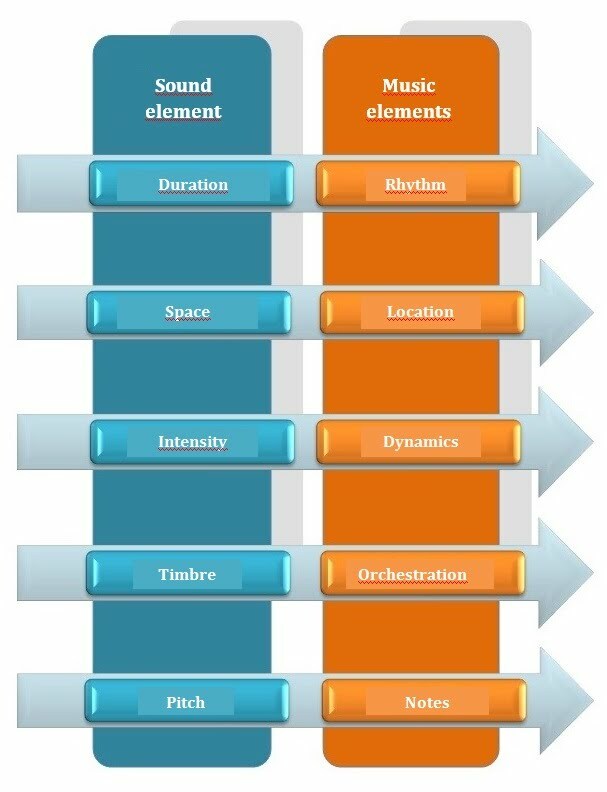 Rhythm, Dynamics, Timbre or Orchestration, Music Notes and sound Localization. Knowing the elements of Music means that we must first know the five elements of Sound. These are the Duration, Intensity, Timbre, Pitch and Space. Those five elements of Sound are translated into Music as Rhythm, Dynamics, Timbre or Orchestration, Musical Notes and Sound Location. Rhythm Duration of Music Sounds and silences, consisting of short and long elements and their subdivisions. When this elements are regular, they generate a Rhythmic Pattern. Location Placing of the musicians on stage. Along with Dynamics, it provides depth and stereophonic sensation to the Music. Dynamics Relative intensity of everyone of the pitches in the context of that particular composition. With simultaneous or consecutive contrasted Dynamics whatever must be highlight, would be achieved with greater intensity. Timbre Music is performed with instruments so Music and instruments are inseparable. Knowing how to write for each of them and give them appropriate parts is called orchestration. Music Notes The different pitches. Each octave has twelve notes in halftone intervals. As a curiosity: a piano has eighty-eight notes. The order of alterations in the key signature. UNIT 1 DAY 2 - Framework of Music. ① How is the Structure of a musical work? It consists of parts when the composer seaches for variety or of repetition of one or more elements. A piece of Music usually consists of various parts that alternate themselves to give a feeling of variety, although there is also Music with a single sound, a single chord or a single note. 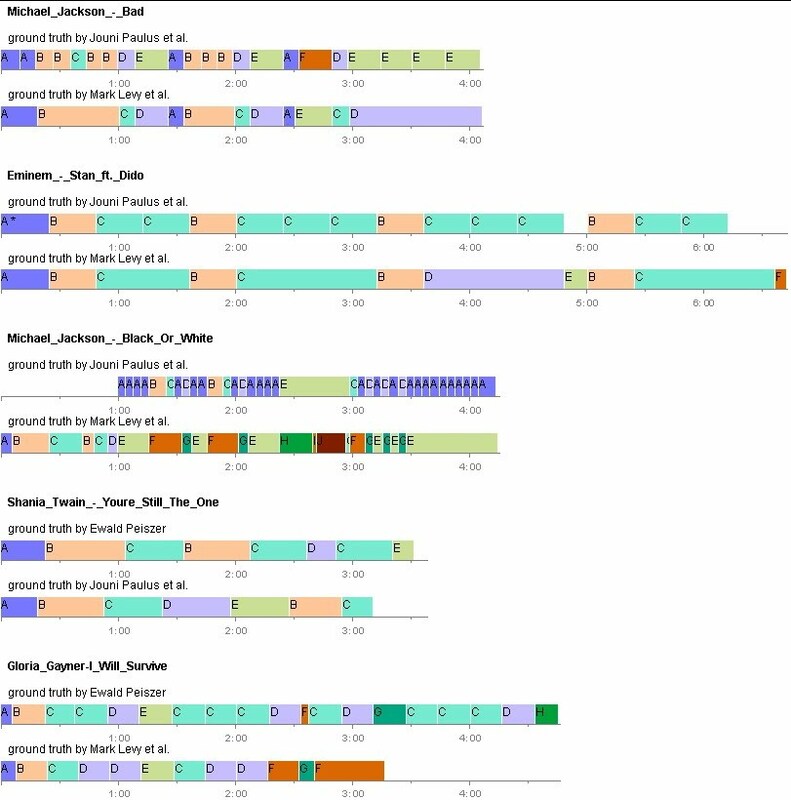 Structure of different songs. As you can see, they are made of various parts. Part of eleven Ricercata music Ligeti. The entire piece consists of an everlasting A ... or not? Another example is this piece of Scelsi; Quattro Pezzi - only one note per Orchestra 1959. Repetition (when we played the same part), Variation (when we play the same part, but changing some aspect of the Music) and Contrast (when we play something else after). ② Repetition as a way to generate Music. Repetition creates structures with a single part that is repeated indefinitely. We create forms in music using repetition, variation and contrast. Back to study these three aspects in unit five, dedicated to the shape and to be discussed in this session and the next to be an element of the music. * Repetition, when we played the same part, produces structurally simple shapes. 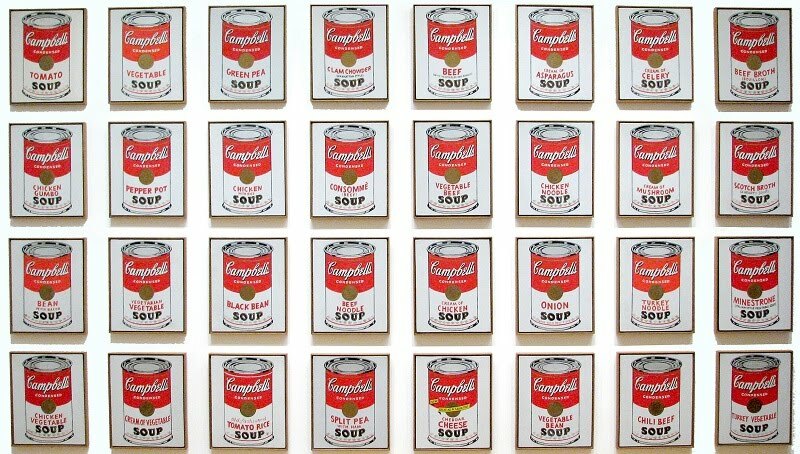 REPETITION: In this work of Andy Warhol it is possible to see how the Campbell Cans repeat themselves. but the feeling is that of seeing the same thing over and over again). * Variation, when we play the same part, but changing some aspect. Although it looks like repetition, it feels anew. 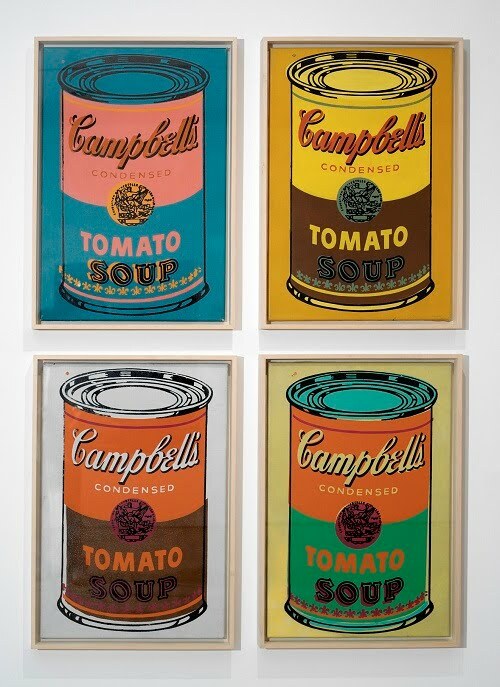 VARIATION: Another Warhol's painting. And in this case the picture is the same, but with different color schemes. * Contrast happens when a different part follows the previous; when we play something else. 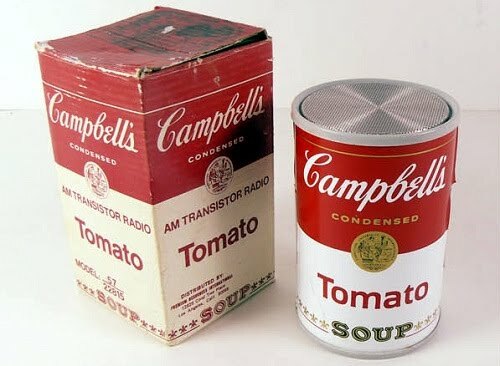 we see that we have a cuboid - a box - (left) and a cylinder - a radio - (right). * If you want to quickly create a piece of music, we can start by making a part and repeat indefinitely. Improvising on this basis, we create lots of choice without leaving repetition. that would not last more than two minutes but they have to be played, following the indication of the composer, eight hundred and forty times. Almost a day of uninterrupted music. And the interesting thing is that it is usually played by several pianists who take turns to rest. and then Music will vary imperceptibly over time and increased fatigue of both the listener and the performer. * Repetition creates structures with a single part that is repeated indefinitely. A joke. This comical fragment of a movie but repeated dozens of times. Groups of four notes with an ascending third between the first an the second returning to the beginning. UNIT 1 DAY 4 - Character, Style, Technique and Composition. ① What is the character and Style of a musical work? It is an element of Music that allows us to recognize the characteristics of the composition and the personality of the author and the performer while Style is a creative convention defining and shaping all other aspects of the work. ② What is Instrumental Technique and Composition Technique? Instrumental Technique is the way a musician learns and knows to play his or her instrument and the Composition Technique is what a composer learns and knows to create Music. Character is what causes in us the most valuable feelings of a work. Thanks to Character, we recognize a piece once the first notes start. It is an element of Music that allows us to recognize the 'characteristic' of the composition and the imprint of the author and performer. Music with a lot of Character. Do you recognize this compositions? Style is another of the elements of Music. It refers to rhythmic, harmonic and formal conventions that are repeated in a series of works that are classified in the same category. It is a creative convention defining and shaping all other aspects of the work. As an example, the same song in different styles: Ace of Base - Never Gonna Say I'm Sorry. 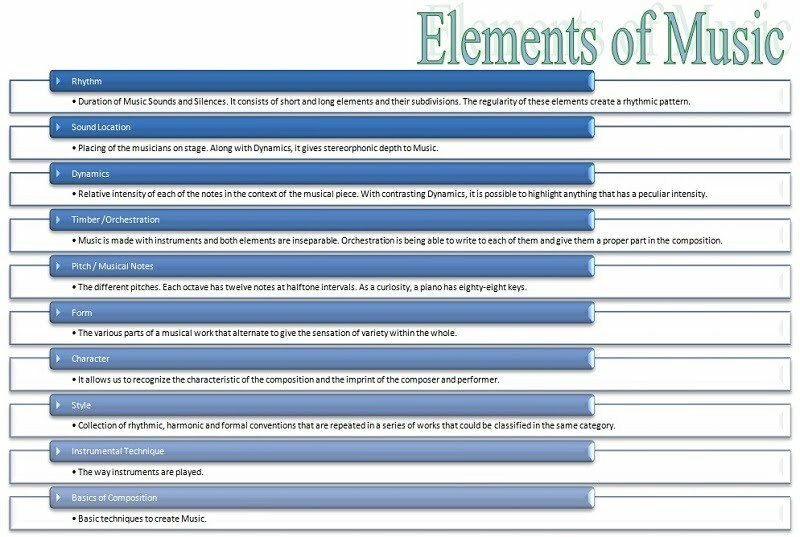 Instrumental Technique and the Basics for Composition are part of the elements of Music. When someone learns to play or sing or to write a composition enables us the possibility of hearing Music in the future. The Instrumental Technique is how to play the instruments. The basics for the Composition are the basic techniques to create Music. Structure, Character, Style, Technique and Composition. 4. We also remembered the importance of Repetition, Variation and Contrast.